If you're buying something at a store and want to pay with credit, you're probably already quite used to pulling out a plastic credit card. MasterCard announced this week that it is launching a program to expand the types of objects consumers can use to pay with MasterCard for purchases. MasterCard isn't just talking about using a phone or watch to pay for something. It's looking beyond that to other types of wearable objects--or any object that could be turned into a payment device, for that matter. This week the company is showing the first three products they're working on at the Money 20/20 conference in Las Vegas, where attendees will be able to get a look at a payment wristband, a ring and a car key fob. MasterCard has multiple partners in this venture, including designer Adam Selman, who's designed payment-enabled clothing; General Motors; wearable technology company Nymi; smart jewelry company Ringly and Bluetooth locator TrackR. For the prototypes being introduced this week, General Motors worked on the key fob, Nymi helped with the wristband and Ringly worked on the ring. This endeavor is MasterCard's way to connect its product to the Internet of Things, the concept where any kind of device--not just computers, phones and watches--can be connected to the Internet. This is a burgeoning area of technology that's expected to boom, as Cisco predicts that within five years, there will be 50 billion connected devices. Of course, MasterCard would like to have a piece of that market, as it believes that any device connected to the Internet should be able to be a device that you can use to purchase things from the Internet. The program that produced these prototypes is related to the MasterCard Digital Enablement Service and the Digital Enablement Express program. "As more and more 'things' become connected, consumers will have endless possibilities when it comes to how they pay, and will need all of their devices to work seamlessly together," says Ed McLaughlin, chief emerging payments officer at MasterCard, in a statement. "This program eliminates the boundaries of how we pay by delivering a secure digital payment experience to virtually anything--rights, fitness and smart bands, car key fobs, apparel and whatever comes along next." 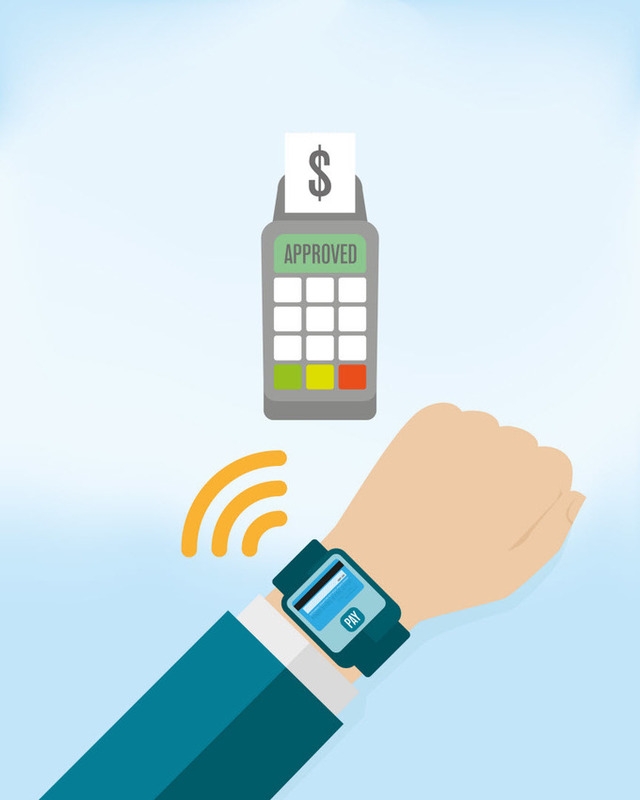 Wearables as a form of payment could be a double-edged sword for consumers. "The good thing about wearables is that it makes it easier for people on the go to complete a transaction without having to open up their wallet or an app on their phone," says Ben Jackson, director at Mercator Advisory Group. "You can tap and go, making it easy to make a payment, and that can be useful especially in places like convenience stores and fast food places. When you want to pay a small bill fast, wearables work well." However, Jackson also notes that the ease factor could also lead to consumers spending beyond their means. "The one thing that credit card holders are going to have to be careful about is overspending. It becomes real easy to spend and [you can be] prone to spend more and make more impulse purchases," says Jackson. Indeed, MasterCard itself has done research on consumer spending habits with contactless payments. In 2012 it looked at behavioral patterns with its PayPass contactless feature. In that study it found that consumers with the PayPass feature spent an average of nearly 30 percent more than the traditional swipe method of payment. Along with satisfying consumers' desire for convenience, this change in spending behavior could be another reason MasterCard is investing in wearables. For now, MasterCard users will have somewhat limited access to the company's wearable products. Capital One is currently the only credit card issuer that's signed up to pair its mobile wallet product to MasterCard's devices. MasterCard plans on releasing these products nationwide in 2016, and will add additional markets soon thereafter.